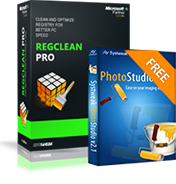 RegClean Pro is an advanced solution to fix registry errors and speed up your PC. It helps you to prevent system crashes and improve system response time. Fix registry errors and get instant performance boost!